In the new digital era, rich and complex ecosystems are emerging, blurring the boundaries between old industries and creating new ones. 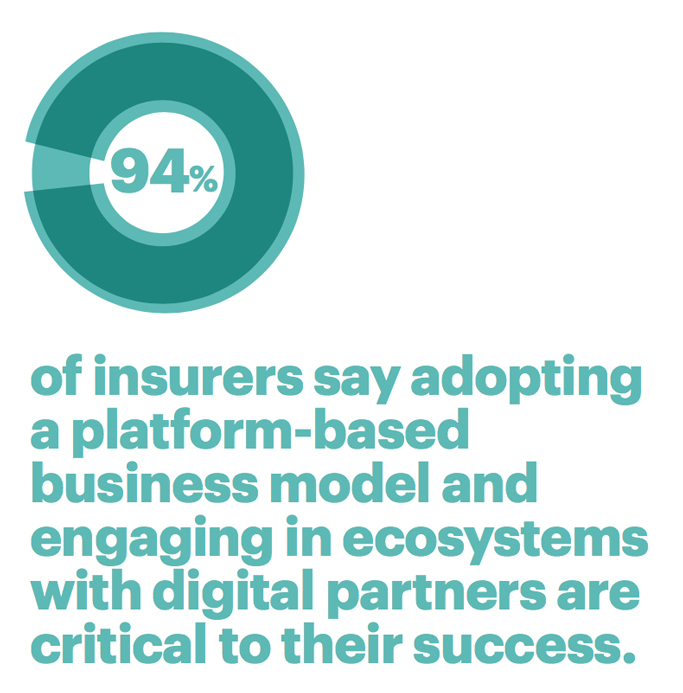 In our recent survey of more than 5,400 business and IT executives across 31 countries, 76 percent of insurers agreed that competitive advantage will come, in part, from the strength of the partnerships they form and the ecosystems they choose. Central to these ecosystems are the platforms they are built on. Consider the rise of companies like Airbnb and Uber, whose platforms comprise their entire business, or the fact that 70 percent of “unicorn” startups are platform companies. These digital-born companies are carving out roles in fragmented or saturated markets by aggregating services into a single, convenient point of access. Digital companies are rushing to market with insurtech and fintech platforms, giving insurers a choice: to leverage their software or build platforms of their own. Berlin’s simplesurance, for example, has developed software that integrates into an online store’s checkout process, allowing customers to buy product insurance with a click. Allianz, recognizing the value in such a platform, has bought a minority stake in, and concluded a distribution agreement with, the company. 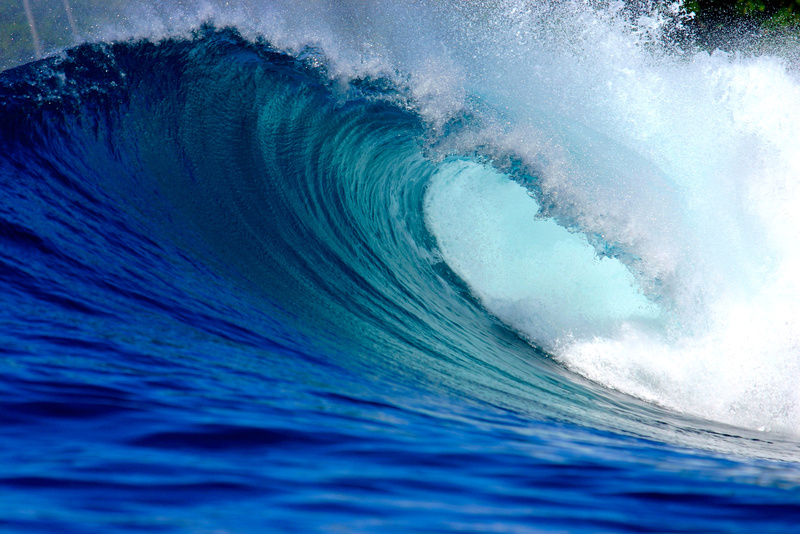 For insurance organizations, leveraging platforms from third parties is not new. Carriers and brokers were early to recognize the potential of leveraging Google’s platforms for advertising—insurance-related keywords are consistently among the most expensive on the Google AdWords platform. In the United Kingdom, digital platforms aggregating private insurance now account for 60–70 percent of new business premiums. Many carriers also use public, private or hybrid cloud technology, linking them into ecosystems they can join as well as a potential network of partners they can leverage to bring their future strategies to life. For years, companies have effectively been picking long-term partners and the ecosystems they’ll be participating in as they made tactical decisions on technology providers, third-party platforms and distribution partners. Forward-thinking companies are taking steps to strengthen their future roles within this context, like making application programming interfaces (APIs) a key part of growing their brand. But there are risks for insurance organizations as platforms take control of the customer interface and relationship. Few insurers want to contemplate a future where they merely provide commoditized, white-label products to platform owners. Leaders will need to consider how to take a more prominent role in their customers’ lives and create business models that keep their brands in the forefront of the ecosystem. Whether it’s accessing new customer touchpoints or building new markets with industry partnerships, the external platforms that insurance organizations rely on throughout their enterprise are developing into gateways to new digital ecosystems, the pillars of a value chain evolution. An explosion of collaborative ventures between industry leaders is on the horizon, and the success of these endeavors will determine who leads and who is left behind. In my next post, I’ll look at how platforms are changing the game when it comes to recruiting talent. In the meantime, to learn more, register to download the executive summary or full report of our Insurance Technology Vision 2017 .